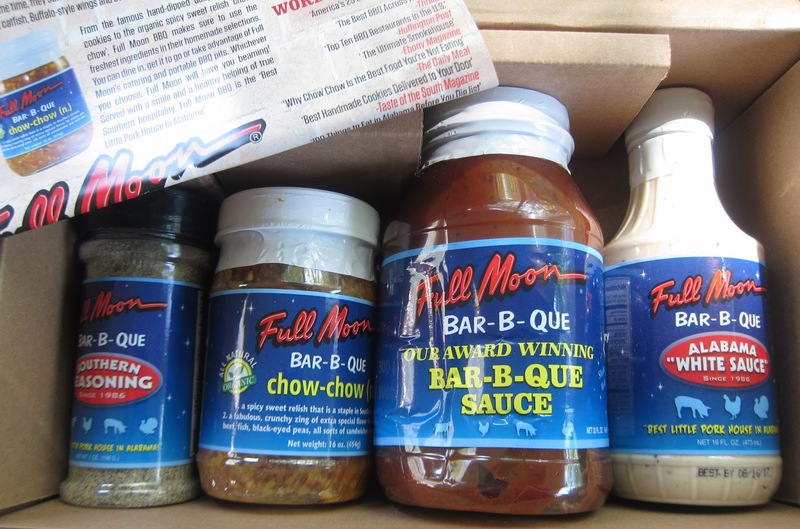 I'd never heard of Full Moon barbecue products before, but they got in touch to see if I'd see what I thought of their products. I had a bit of spare time, so I thought I'd see (especially since they have an Alabama white sauce). The first thing I tried was the seasoning. It smelled really nice as I sprinkled, and I loved the flavor of wings before they were sauced. They would be fine with no sauce for those who aren't sauce fans. The flavor is mildly bold and would be good for any group. 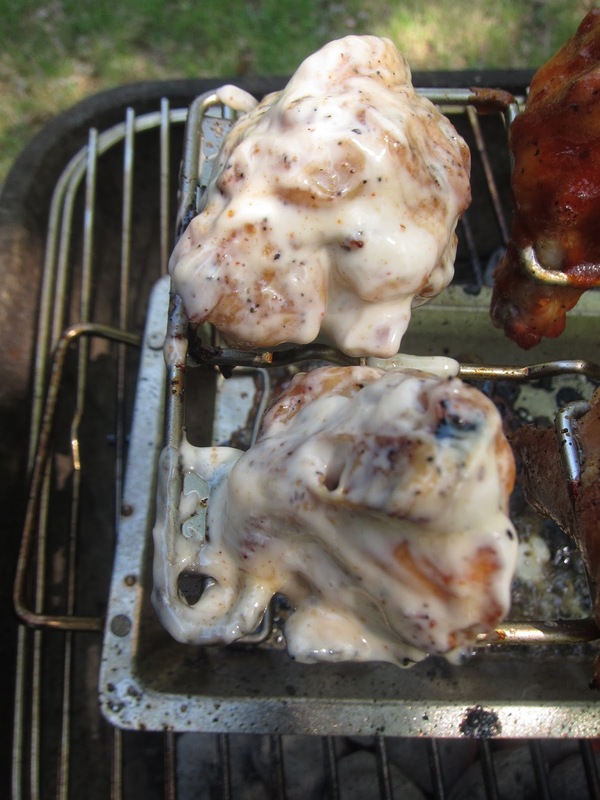 After the wings were close to done, I put the classic red sauce on and white sauce on just a couple. My boys have previously not been thrilled with white barbecue sauce even though I make my own which I think rocks. The sauce goes on only the last 3 or 4 minutes with wings. You don't want to start out with the sauce on, or the sugars in it will burn. My son and I tried out the white sauce. I found it a little tangy (vinegar I think), but my son loved it. Given he hates my white sauce, that is a good point for Full Moon there. They made a convert. 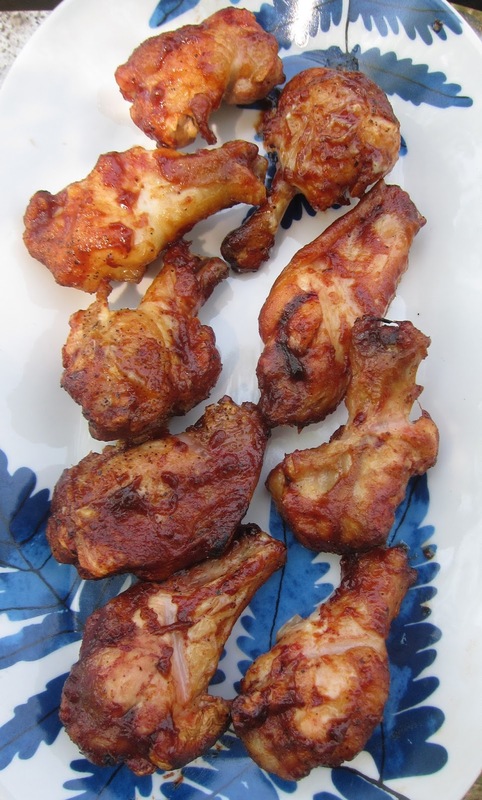 We dug in on the red sauced wings. They were quite tasty. You got tomato flavor with some seasonings and also the seasoning base from Full Moon. These would work for groups and kids. The flavors are not too hot or over seasoned. The chow chow was great on pulled pork barbecue sandwiches. Sorry I didn't get a photo. I think chow chow is more of a southern thing. It's a bit like a slaw but with more veggies. I like chow chow better than slaw, and this was a very nice chow chow. This was a successful collection. 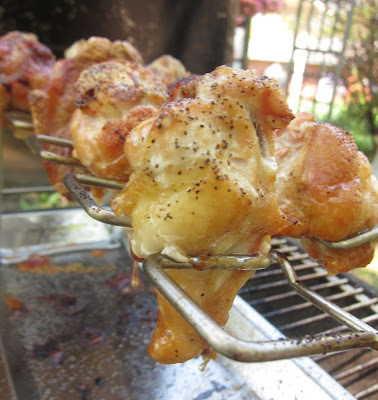 It's not for the heat eaters or those who like really odd barbecue concoctions. It's just a good all 'round collection of products by Full Moon.